When you’re driving around as much as we do, at the moment you expect it least something will catch your eye. Sometimes, you might even drop your cellphone. I kid. I’ve been able to explore a variety of back channels here and there thanks mostly to the use of my bike. If I’m not in the middle of a strenuous workout(which is most of the time), I’ll pull over and take some pics of things that I see as being “unique”. Most make my twitter feed, but some I’ve been saving for a post like this. 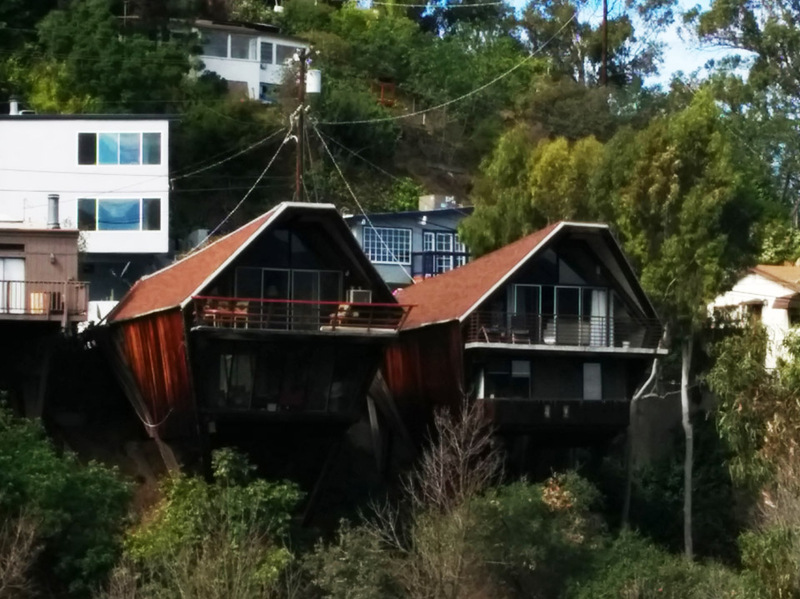 These are a pair of the famous “Boat Houses” that straddle Woodrow Wilson Drive above the Cahuenga Pass. In fact, there are another five of these houses which I’m actually standing next to while taking this photo. 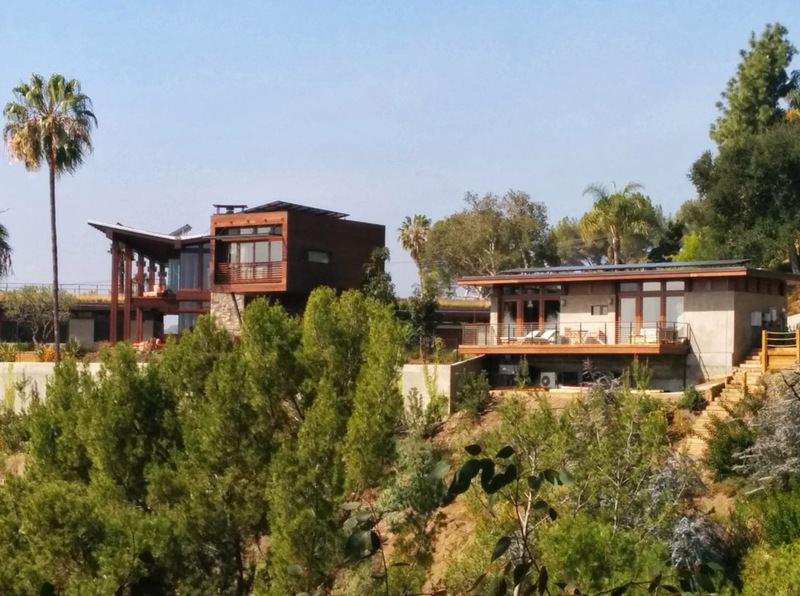 These homes were built in the late 1950′s by one of LA’s most eccentric architects, Harry Genser. 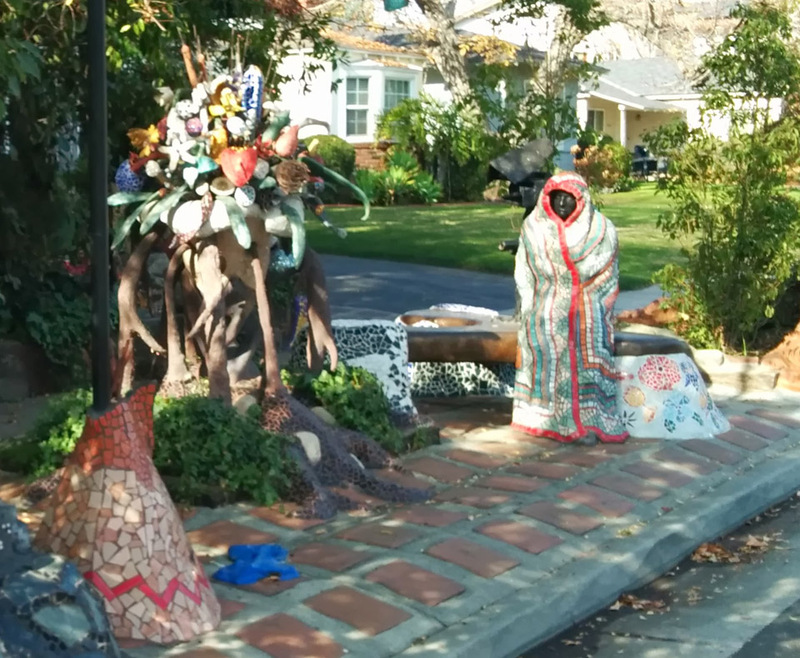 Check out his Pintrest page and I’m sure you’ll recognize some of his other work. 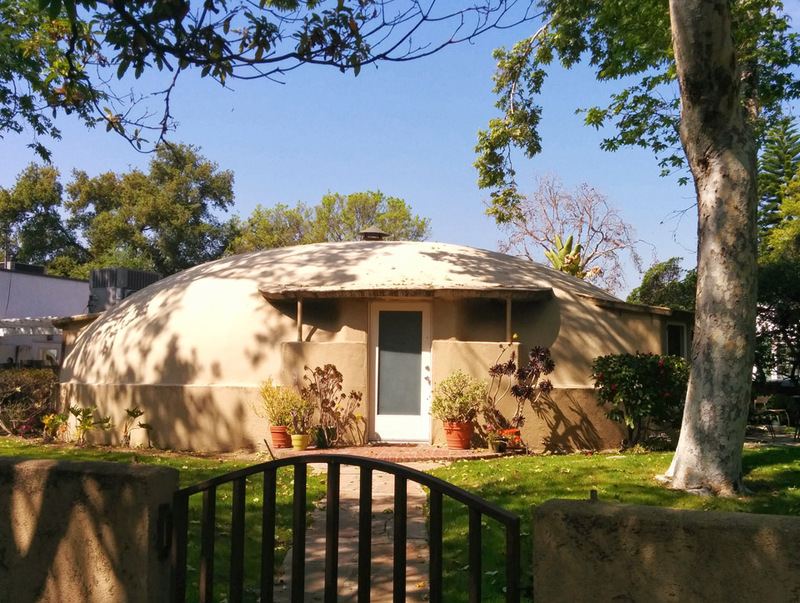 This Pasadena abode is simple, purposeful and round. I can’t look at it without having Axel Foley saying in my head, “there’s supposed to be no right angles in this building!” I hope somehow that Buckminster Fuller was involved. We’ve seen these before. 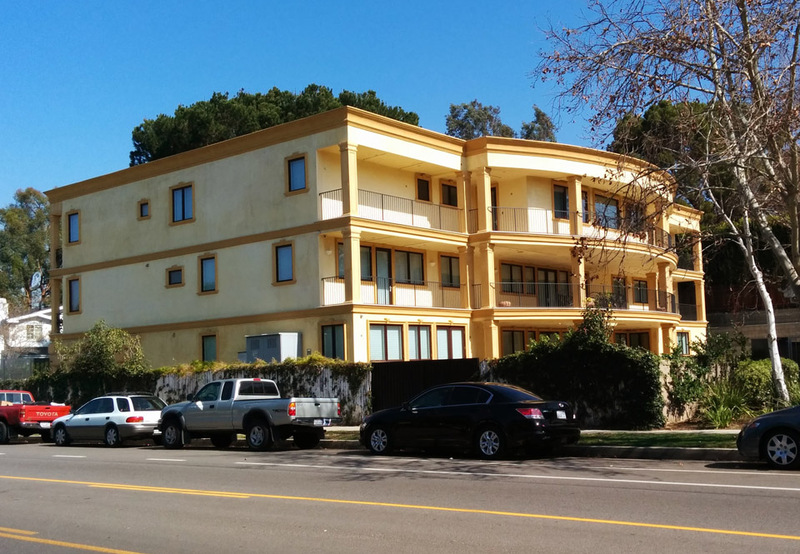 On first glance they appear to be an apartment complex or possibly a multi-unit dwelling. But who are we kidding? This is Los Angeles. Most of the time they actually are single family residences. If they’re going to exist, then this is one of my favorites. After all the years I’ve been involved in the architecture field, sometimes you’re willing to save time by using the Copy and Paste commands. …I realize that it isn’t really a woman. Just mosaics with a sunken in face. But still I’m scared. 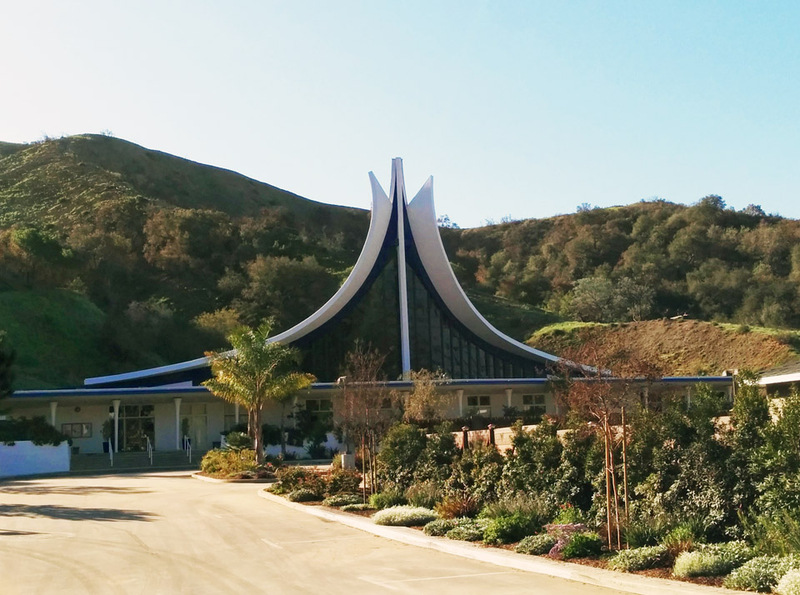 This church is part of the Self-Realization center off of Chevy Chase in Glendale. I don’t know much about their group, but they always seem to have a lot of venues that catch your eye. Does it match the landscape? Eh. But pretty cool nonetheless. 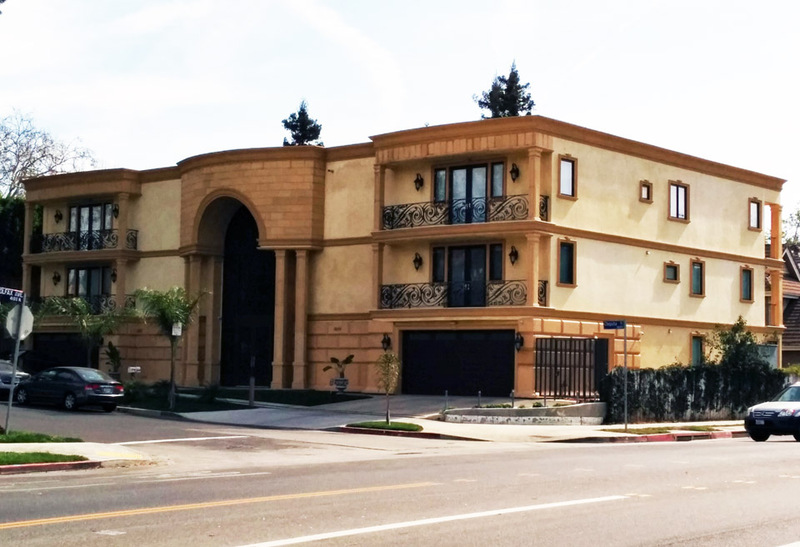 You’ve seen this architectural style before. Even earlier in this post. But something caught my eye. Have a closer look below…..
Tile. The house is covered with tile. I understand when searching for flooring that you can come up with some amazing deals buying the remaining inventory of available materials. 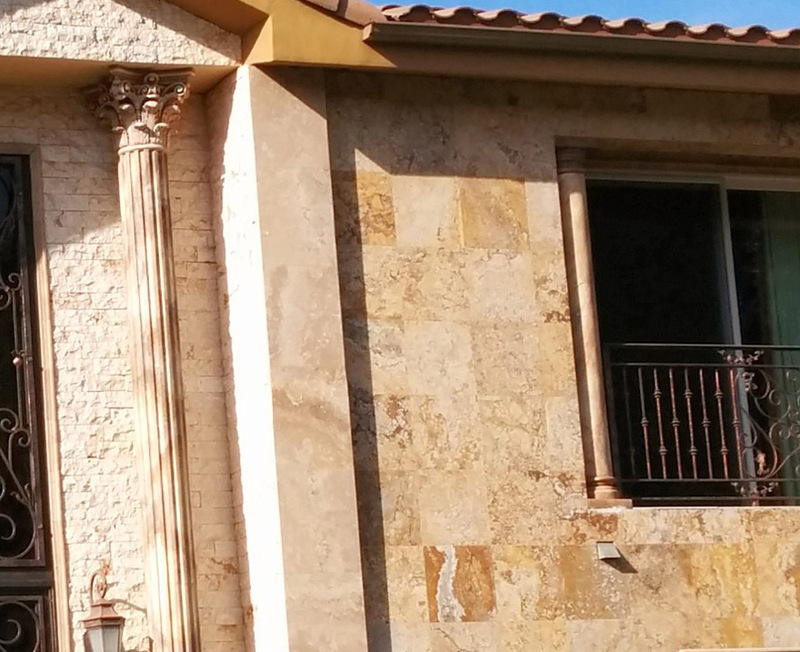 Why not just apply the excess of the exterior to your home? Unfortunately, there wasn’t enough for the roofing. 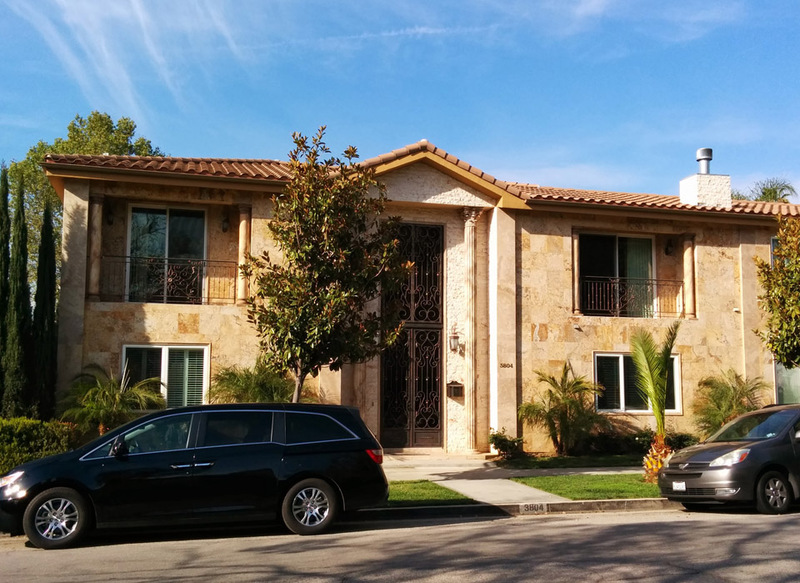 How do you double your square footage without actually doubling your square footage(officially)? 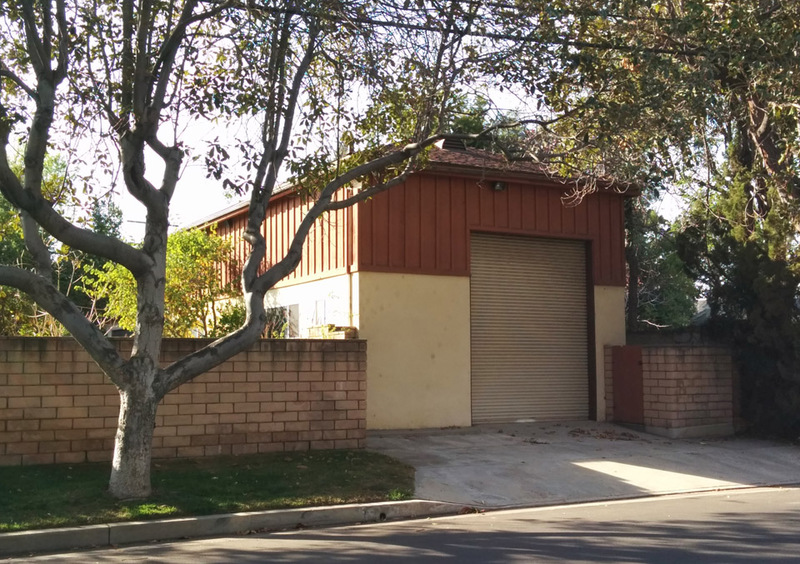 By building a garage/shed/hanger/astrodome for your recreational vehicle or 80 ft. yacht. 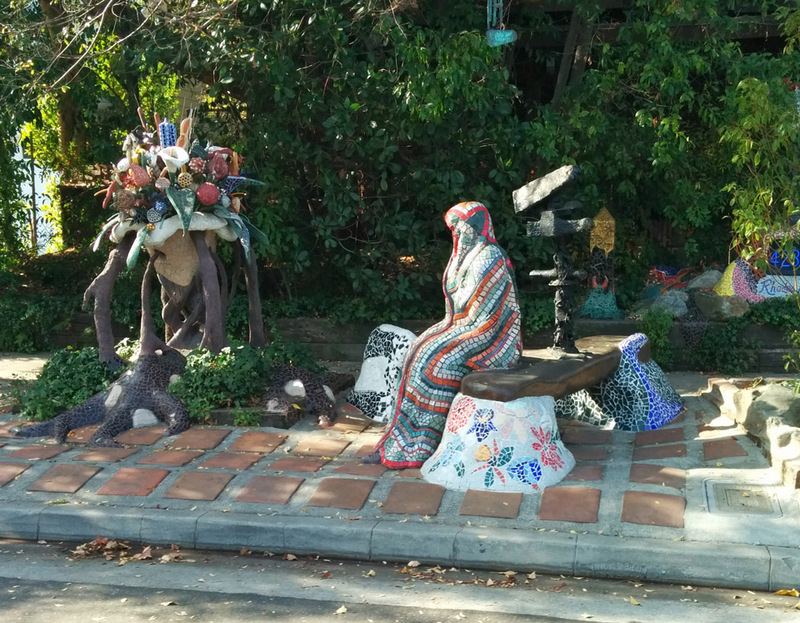 I have nothing but praise for this Beverly Hills compound. I only include it as a point of reference of what I like. What I want. I’m accepting donations.